Investigators from OHSU and the Dept. of Energy’s Pacific Northwest National Laboratory were awarded a three-year $1.8 million grant from NIH to support a nationwide project targeting undiagnosed diseases. OHSU will leverage its newly established collaboration with PNNL, the Northwest Co-Laboratory for Integrated ‘Omics, to support the NIH Undiagnosed Diseases Network (UDN). This award will be used to establish a Metabolomics Core to detect and quantify metabolites which can provide clues to enhance other types of data such as genetic and clinical information in reaching diagnoses. The UDN was established to expand the capacity of the Undiagnosed Disease Program at NIH headquarters in Bethesda, Md. 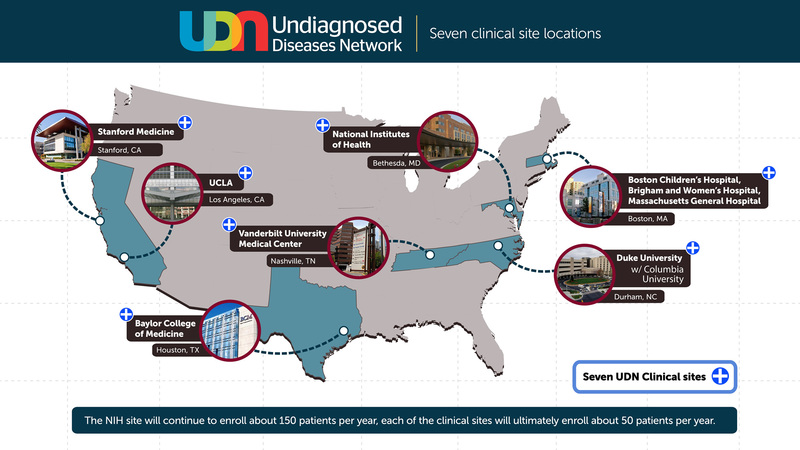 The network consists of seven clinical sites, two DNA sequencing cores, and a coordinating center (see image for locations). The goal of creating a network is to facilitate cross-disciplinary approaches to identify the etiology of undiagnosed diseases by collecting and sharing standardized clinical and laboratory data. David Koeller, M.D., professor of molecular and medical genetics in the OHSU School of Medicine and director of the OHSU Metabolic clinic, and Thomas Metz, Ph.D., staff scientist at PNNL are co-principal investigators on the project. 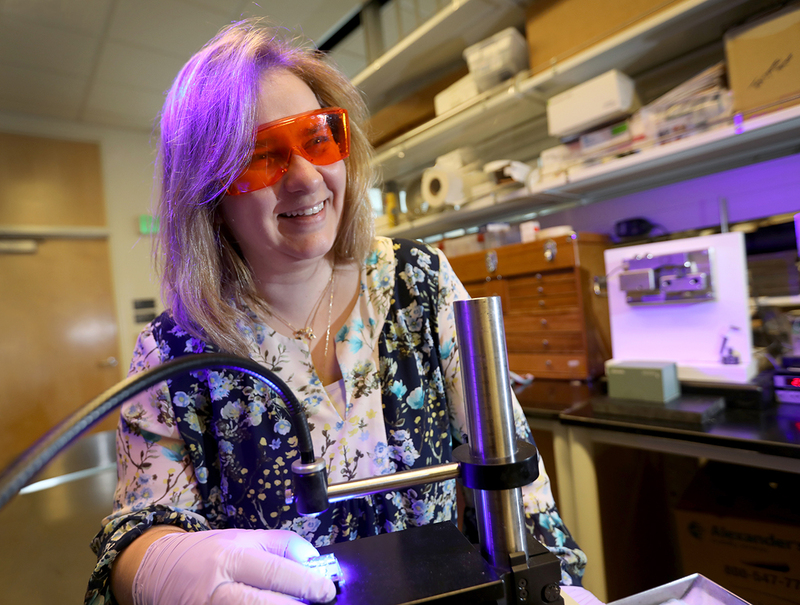 The team also includes Melissa Haendel, Ph.D., associate professor in the OHSU Library, and assistant professor of medical informatics and clinical epidemiology in the OHSU School of Medicine. Read more about this award and collaboration. This research is supported by the National Center for Advancing Translational Sciences of the National Institutes of Health under award number U01TR001395.